And you would be totally correct. The same goes for your financial house. Or your financial skyscraper. You would need to first build a foundation in which you can support yourself and fall back on when emergencies happen. So if you don’t have an emergency fund, forget about paying big debts and investing first. Getting an emergency fund is the no. 1 step in your financial makeover. Just for illustration, if you wake up tomorrow morning and realize you have to lose 10 pounds, build up muscles and completely change your diet, what would you do? You would force yourself to run 10 miles, hit the gym for 3 hours straight training every single muscle group, and follow the most extreme diet known to mankind. And you would collapse within the first few days. The point is, as with doing any other things, we can’t try to do everything at once. If you try to spread out your $100 into returning credit card debt, investing, putting extras into retirement accounts and savings, your effort would be diluted. And you won’t see any progress anytime soon. This is dangerous because if you feel like you have not accomplished anything, soon you will lose the will to keep going and give up on money management altogether. DO NOT give up on what you set out to do. The power of focusing on one step at a time is what will make things work. Of course, there are things you can do to speed things up while following through the steps. Such as spending less or earning more, which both translates to more available savings. An emergency is something you have no way to foresee, something that has a major impact on you and your family if you do not cover it. Emergencies include a job loss or cutback, medical bills from accident or unforeseen medical problems, or a repair cost you need to cover for you to function, such as your car. Again, we have to exercise some self-control here. Something on sale that you “need” is not an emergency. Buying another car or going on an expensive vacation is not an emergency. These luxuries will come, of course, but not at this point of time. There will be time when you can buy a second car and pamper yourself with luxuries, but that will come at a later stage. On the other hand, don’t make payments on medical bills after an accident while your emergency fund sits there fully funded. If you used a credit card to pay for the bills, make sure you pay back the amount with your emergency fund before the due date. When you have gone through the trouble to create a dedicated emergency fund, make sure you know what is an emergency, and what is not. Before using the emergency fund, back up from the situation and calm down. Analyze if the situation is indeed an emergency and if you really need to pay for it. Do not rationalize the use of your emergency fund for something you should save for and purchase. How much should I have for emergency fund? For starter, we would save up $1,000 as emergency fund. And we will do it fast. To make this happen, you will need to set up a budget for every month. If you think that’s too much work, trust me, it will be worth it. Without a budget, you won’t even know where you money goes to every single month. You don’t have to set up the perfect budget, because none of us have it. You just need some simple planning for your budget that will document where your money goes to. The most important thing is that once you plan your budget, stick to it. In which case, you will spend every single dollar you have first before the month even begins. What I meant is that you should spend every dollar on paper first before the month begins. Give every dollar of your income a purpose, and dictate where your money is going before you actually spend it. On paper, income minus spending equals zero every month. Let’s consider the case of an average Joe. Joe has a fixed employment income of $3,000 and extra side income of $500 per month, totaling up to $3,500 per month. That would be his positive cash flow. He has monthly mortgage payment of $1,000, credit cards minimum payment of $150, insurance payment with a total of $550, loans payment of $450, and various bills up to $330. Joe has a monthly positive cash flow of $220, which he can contribute towards his emergency fund before spending on anything else. You might wonder why don’t we start with paying off debts first? The thing is if you do not have this $1,000 as your emergency fund, any sort of emergency can knock you off track. If you are so focused and dedicated on paying off your debts, charging another $500 on your credit card to fix your car will make you lose your momentum and you probably won’t feel good. This might ruin your financial transformation plan altogether. And of course, this sum of money is strictly for emergencies only – getting a brand new PS4 or ad-hoc vacations don’t count. Download our free financial budget planner (in excel format) and follow through the steps to work out your own budget. It is a simple monthly budget worksheet that you should be able to complete within 10 minutes. With the advances in technologies, tracking your spending has become so much easier. If you have a smartphone, you don’t have to painstakingly write down every purchase you make throughout the day. You can simply use your smartphone to track your expenses. There are plenty of good applications to use for budgeting. Simply head to Google playstore or Apple store on your device and find a money manager app that suits you. For every purchase you make, spend a few seconds and record it in the app immediately. One good way to prevent over-spending and make sure you stick to your budget is to pay yourself first. Many people save what’s left at the the end of the month, but that’s not the best practice for money management. Instead, you should save first, and spend what’s left of it. You will transfer your emergency fund into a savings account FIRST when you get your paycheck. For example, Joe figured that he has a monthly positive cash flow of $220 that he can use towards his emergency fund. What he can do is to pay himself that $220 FIRST when he gets his paycheck. Only then he will sort out the remaining money for expenses. Where to keep my emergency fund? I like to keep my emergency fund in a separate savings account that is not attached to checking services. I highly recommend that you set up a new savings account dedicated for emergency fund only. Or you could choose to keep it in a sealed metal container, tucked away in a thick coat, at the innermost corner of your closet. The point is, make it liquid enough but at the same time keep it in a safe and not-so-easily accessible place. Why would you want to put yourself through so much trouble? Because you want to protect you from yourself. I understand that if you have a tidy sum of money in your hands, impulse might take over and you might just spend it on a new item that you will come to regret in just a few days time. You don’t want that to happen to your emergency fund. And remember – do not invest your emergency fund. It is meant for emergencies only. One little strategy that I like to use is to transfer my non-fixed expenses to a debit card when I get my paycheck. If I am Joe, after going through my budget, I would realize that I have a monthly fixed expenses of $2,480 (mortgage, credit cards, insurances, loans payments and utilities). These are the expenses that must go out no matter what. The only non-fixed expenses I have is foods and groceries, at $800 per month. Of course, in real life, there would be a lot more non-fixed expenses such as clothing and entertainment expenses. However, if you don’t have a minimum of $1,000 savings, you probably want to reduce your spending, at least temporarily anyway. What I would do is that I would sign up for a debit card, and I would load $800 into the visa prepaid card when I get my paycheck. Or you can choose to hold $300 in cash and load $500 into your debit card. It’s your call. Using a debit card is a great way to keep your spending under control. It is widely accepted, convenient, provide perks and savings and most importantly, it keeps your spending within what you have in your debit card. You don’t have to worry about overspending due to impulse buying. Coupled with an expense tracking app, you can track where your hard earned dollars go to every single month. For the rest of the fixed expenses, you can choose to set up automatic transfers from your bank accounts to pay the same amount every month. This is not essential but it will save you some time. Ideally, you would want to save up your emergency fund as soon as possible, within 2 to 3 months. So if you are like Joe, who is very tight on the budget, you would want to go all-out during this phase and save up that $1,000. You can take up some odd jobs, sell things you no longer need, or skip restaurant meals completely for the time being and cook at home to reduce spending. Or you can earn some cash from your couch during your free time. 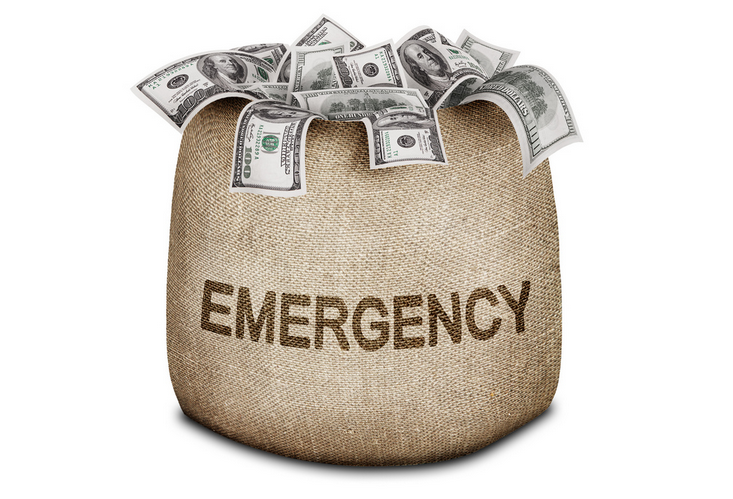 At any point of time, you want to have your emergency fund intact. Which is to say, if you spend $500 on emergency car fixing this month, next month you would top up $500 to make it back to $1,000. If you have followed us up to this point, good job and give yourself a pat on the back! Now you have built a solid financial foundation and you are ready for the next step. I think this is so key to creating more wealth for yourself. the one thing i struggle with the most is budgeting. For some reason I can’t grasp the meaning of how to budget the right way to make sure I have enough money left over during the month. I’m sure it doesn’t help that I tend to buy things I don’t need. This was very helpful stuff. helped me realize that I need to start getting control of my finances. Thanks! What a great information! 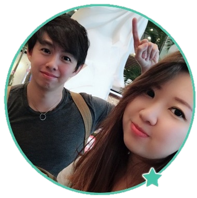 I am now start making money online and it is really important for me to plan my finance better. From your advise, I am now being able to calculate my net cash flow and I am being able to save up some emergency fund. This is important because sometimes when we are being scammed, or some credit card issues or even some penalties from the government, we have to pay for those things. To make it without a mess, saving up a fund is the best way for everything. This is some good info. I think everyone should have an emergency fund because you never know when something is going to come up. I think the most important part is to continually add to it. I need to work on this because, in the past, I have tried this and I will add some for a while, then stop because I think there’s enough. Do you have any advice for someone who doen’t have regular income? For people with variable income, it’s better to calculate your basic monthly spending first. After that, you can add 10% of your basic spending as unexpected expenses. Only use this fixed amount for monthly spending and save the rest into an account not easily accessible, so you don’t feel tempted to use it. This is excellent advice. Most people do need to start an emergency fund and have at least a thousand dollars saved against any unforeseen calamity. However, in my experience, people resort to the use of credit cards for their little emergencies such as the hot water heater bursts, the car needs to be fixed, or an ambulance transport fee has to be paid. It takes discipline to keep money put away and not touch it in any fund. Many of us are wired to rely on credit cards for every little “emergencies”. It’s the result of not having at least a basic emergency fund, that’s why setting up the first $1,000 is crucial for the plan to work. I found this post to be very informative and practical. It is so important to have an emergency fund, but I think most people think this is not possible on their budget. Like you said, when saved a little at a time anyone can build an emergency fund to have security in times of need. I know when we started saving for our emergency fund it was tough. We now have 3 months of salary put away in our emergency fund. My Dad always said to have 3-6 months of wages in your emergency fund. I know you say to start at $1,000, but once debt is paid down how much would you recommend to have in an emergency fund? I generally recommend based on your current status. If you are single and don’t have any dependents, you can get away with 3 months worth of wages saved up. You can probably stretch it quite a bit. However, if you have a family and dependents, 6 months is the way to go. You can save up even more to be safe. However, don’t keep all your money in savings because it’ll be eroded away by inflation. Invest the rest in low cost index funds. This is great advice. I need to tell my kids about it. They’re all grown with children. Think I’ll email this to the kids. Keep it simple. Great post. The good ol emergency fund that many of us acknowledge but so few of us have the discipline or true desire to grow. You have to prioritize creating an emergency or you will never have one. They really come in handy. I used to also open up an account and begin at the beginning of year putting small amounts in for Christmas and New Year. Good practical information in this post! One of the best way to save an emergency fund is to stash it away in a separate bank account. Out of sight, out of mind. You wouldn’t even think of using it for unnecessary purchases. HI Michael, all the best to you! Keep it consistent and you’ll go a long way. nice website, is exactly the type of project i am thinking to start soon. At the moment i am on clearing some debts, and because i have a system i am confident and most important stress free. People like you are heroes for me, because to give clarity and education about how to manage money is something that society voluntarily do not provide. i bookmarked your site and i will come to it often in order to compare my studies with your knowledge. It’s so funny that you mention starting an emergency fund because my wife and I were talking about this just last night. We are expecting kids in the near future so we have decided to bulk up our existing emergency fund some more since she will be out of work for an extended period of time. More people should read your page because you provide a lot of useful free information here. Keep up the wonderful writing! It’s a good idea to bulk up your emergency fund at your stage of life. Thanks for dropping by and wish you all the best! The future is very unpredictable. We never know when an emergency is going to happen, so I agree with you that having an emergency fund is important. I have my own budget at the moment. I make sure to not spend it on things I do not need. That would empty my bank pretty fast without any savings or emergency funds. For example, if I make $15/hr, and the price of an item is $30, I consider if the item is worth working for 2 hours of my life. Sometimes, by looking at it this way, it helps me align my spending habits with things that really matter. This method might help you weed out some unnecessary purchases, too. I like how you started your post with the analogy of a skyscraper, and how you stated it is important to build a foundation in order to move on to anything else. I know it’s EXTREMELY important to manage your expenses and create a budget because it’s so easy to lose track of your finances if we get carried away, and that’s easy to do. Would you recommend any good mobile apps for managing your budget? I know there’s a lot out there so it’s hard to find the good ones. I’ve tried quite a few and settled on Money Manager app. You can find it in App Store or Google Playstore. There are quite a few good ones, you have to try out the top ones to see which one you like. Thank you for the guide, it’s informative! I just downloaded my first money manager app on my phone! Hi Elena, you can take a look at debit cards comparison here. Spreadsheet template is a nice idea, we will consider working on it and provide a download link when it’s available.